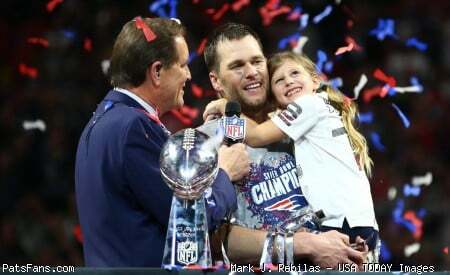 Discussion in 'PatsFans.com - Patriots Fan Forum' started by Gator Mike, Apr 12, 2019. McCourty, Harmon, and Chung. Rarely recognized for it, but easily the best group of cover safeties in the NFL. Gotta fill up 70 million of cap space somehow. I think he retires if he gets 7. He said it Tom vs. Time. Two more. If that's the case we better get Rosen or somebody. "No one can replace Patrick Chung." Is this partly a cap move as well, so we have some more room to bring someone in that can catch a football? Awesome the more key guys we can keep around for Brady's 42-50s the better. He also said 45, so stop jinxing it. Unlikely, given that the maximum savings would be under a million. My guess is something along the lines of dropping his salary by $800k but adding a $2.4 million signing bonus, which would increase his 2019 cash by $1.6 million while keeping his 2019 cap hit exactly the same. True, but we should just cut/trade them all to free up some cap room! One of the premier in-the-box safeties in the league for a decade. Ideal when we play so much nickel and pass defense but still need an elite tackler at the line of scrimmage. He has 3 rings now. Dean Pees badly misused him before as a free safety; it would be like asking Edelman to be an outside deep threat instead of a great inside slot receiver. Patrick Chung played 41% of special team snaps..